Our two week Christmas break from lessons is over and time to get back into the groove of learning. Every Sunday I fill out James weekly assignment sheet. The other evening I sat down to fill out his schedule as usual. I happened to look at the pile of books and notebooks in my writing nook, thinking how I'd fit my writing and blogging and everything else in for the day while he's busy working on his stuff, when the idea hit me. To do's and notes and bullet journals just were not working. I needed something simple and always accessible, not buried in a notebook. 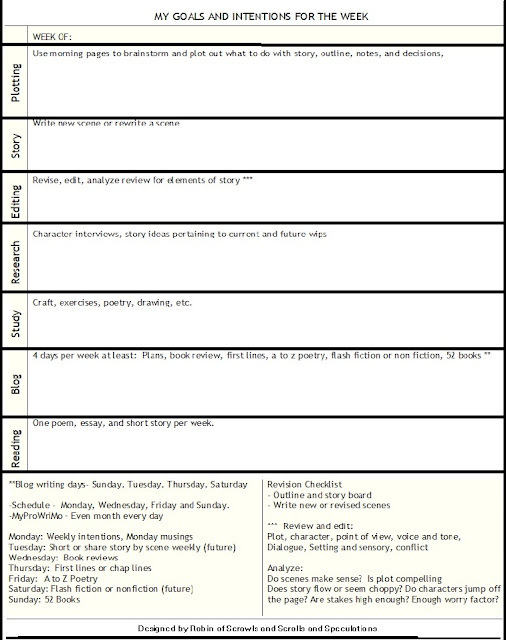 I should make an assignment sheet of my very own to follow weekly! I'm psyched and ready to roll! Great idea! I may use this idea for work. My sticky notes keep getting lost! Wow...you are so organized. I dream of one day being that way!